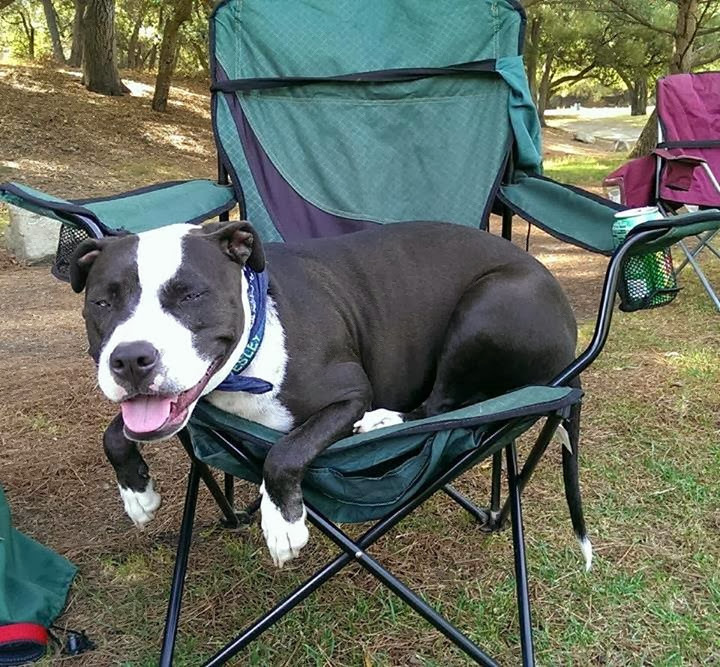 This is Wesley, aka SomeDog, a rescued Staffordshire Terrier Mix (aka Pit Bull) who’s anything but ordinary. As a puppy, he was poisoned, dumped at a high-kill shelter in Los Angeles, and was close to death. Bullies and Buddies Rescue pulled Wesley from the shelter and rushed him to the vet. He underwent numerous tests and blood transfusions, but the true cause of his illness was never discovered. The doctors didn’t think he was going to pull through but here he is for your entertainment. Bullies and Buddies asked the public for help with paying the vet bills for Wesley; he was the first dog we ever donated money to. I fell in love and the rest will be shared on this site. 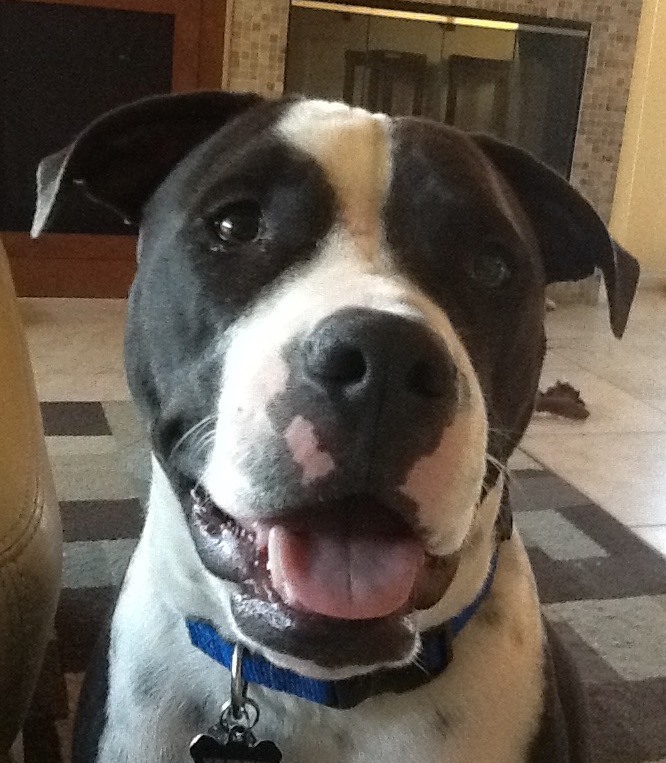 This website will take you through his life and provide insight into all things SomeDog and how I feel about Pit Bulls. Now don’t let that face fool you, it’s been quite a ride! I am full of hope that SomeDog and the Super Dogs will change the negative perception of this marvelous breed. When someone hears the word pit bull or bully breed they automatically assume the dog is mean and vicious. I’m here to tell you that is far from the truth! It’s not the breed at all; even after abuse and neglect, pit bull type dogs can be, and are for the most part, loving companions. These dogs are sweet, lazy knuckleheads who love to steal your seats, covers, and your hearts. All they want is love, affection, a comfy place to sleep, and some good food to eat. Now, I’m not saying every pit bull is like this. There are always dogs (and people too) that seem to be born bad. I just ask that you please don’t judge the good ones by what you see in the media. In all honesty, I have been bitten by a Chihuahua, Maltese, and a cat! All of which have broken the skin. Where are those news stories? There is a heart-warming documentary film by Darcy Dennett called The Champions? The film follows some of the Michael Vick fighting dogs that were rescued from abusive conditions, and are now thriving in new homes. Out of the 49 surviving dogs, 48 of them were able to be rehabilitated! 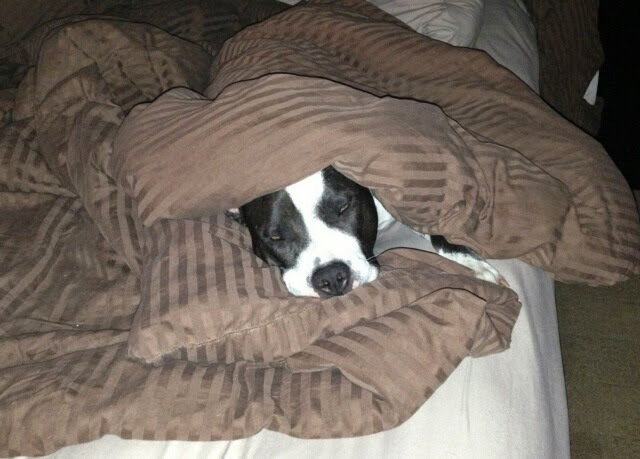 That’s living proof that Pit bulls are not intrinsically bad dogs when given a fair chance. It is so sad what some people do to pets – why do they even get them in the first place? You always hear about so many pets in high kill shelters in the South – I wonder why they have such a high animal population. He looks like a sweet dog and it is all in how they are raised. Personally I’m more stand offish with little dogs – I have been bitten by little ankle biters just walking by a house on the sidewalk. Thank you for your comment. I know what you mean. I don’t understand why people get pets only to treat them poorly. Every day I see sad stories. I don’t think I will ever understand. The high population is mostly due to the irresponsible pet owners that don’t care enough about their pets well-being to get them spade or neutered – the breeders are also at fault. I also hear what you’re saying about being bitten; I have been bitten by a Chihuahua, a Maltese, and a cat! For everything SomeDog has been through he looks like a very happy chap. I have never been a big fan of dogs in general and particularly not pit bulls. Since reading your site I may begin to change my mind about pit bulls. As you say, it comes down to the owners and how they treat their pets. Very cool to hear that you may begin to change your mind! That’s the whole purpose of the website – to change perceptions one person at a time. They really are a great breed with a bad rap. Thank you for your comment! Hi Wesley!! He looks so happy and healthy! We’re so glad to see he’s found his happiness in a loving home. Wesley stayed with us in Redondo for a while when he was a puppy and very sick. Our pittie mix Molly played with him and despite recovering, he always had a spunky spirit. Rock on, Wesley!!! Best wishes to all! Wesley is doing great! I’m so happy that he was able to stay with you and play with Molly for that time during his recovery. Thanks for taking care of our baby. These dogs really are resilient and deserve a voice. I have gotten to know so many incredible pit bull type dogs and their humans that I was inspired to let others know about them. My hope with his website is to show the positive side and loving spirit of the bully breeds. This site is a work in progress so come back often and check it out! It is so wonderful when rescue dogs find the right homes! Wesley is one very lucky puppy to be in a home with so much love! I work in the vet and I totally agree with what you are saying. Pit Bulls are adorable dogs and I saw a couple of them last week. Two were raised from pups and one was rescued and all the owners had similar complaints – their pit bulls are anything BUT a ‘ferocious guard dog’. They welcome strangers, share feeding bowls with other dogs and they rather sleep than bark. Not the most hardworking breeds out there, it seems. Just playful and minding their own business. These dogs really deserve more love from the public. Hi Cathy! Thank you for your comment. Wesley is the biggest scaredy-pup and far from a ferocious guard dog. He would run and hide in the bushes before scaring off any intruders. Now the fluffy mutt dog we have will protect us. That was such a heartbreaking story. I wish anyone who’s determined enough to buy or adopt a pet can be responsible enough as well to commit until the end. Anyhow, I’m glad that he made it through. I see that he’s a tough one. I agree that dogs actions and behaviors should not be associated with their breeds. Many of the ‘cute looking’ or ‘harmless’ breeds we know can be vicious too. I think it all comes down to how well we treat them. I guess I can say that our pets, whichever kind they are, are reflections of our own ‘breeding’. Hi Rocky! Thank you for your comment. I totally agree about the actions and breed associations. I’ve been bitten by some “harmless” breeds so I know exactly what you mean. Wesley is such a big baby and would run away before doing harm but some people won’t give him a chance. I will continue my quest to change negative perceptions one person at a time. Hi Kerry, thank you! I get so sad and upset when I see abuse and neglect with any living creature. I wish there was a way to keep bad people from obtaining animals. I’m happy there are rescue organizations out there for these voiceless creatures. I’m glad you rescued your pups and have made them part of your family. Happy life sweet pups! I’m lucky to be one of Wesley’s mom’s. He is an amazing and loving dog. Alyx, originally, had to convince me to give Wesley a try. In all of five minutes after meeting him, I was sold. He won my heart over in an instant and my love and affection for him grows every day. I’m thankful to Alyx for opening my heart to such a sweet boy. Thanks for sharing. I have two american pitbulls and they are pretty friendly. One of them is a little skiddish because when we lived in a neighborhood, stupid kids walking by sprayed him with pepperspray so that is why he is the way he is. Once he knows you wont hurt him then he can be as lovable as can be. The other one is just loveable all the time. It is the way you treat it and raise it. I agree, i have been bit by small dogs too but there isn’t stories about it. I think it is more of uneducated people who make judgement. Hi Sofia, thank you for the comment. Wesley can be a bit skidish at times as well. I wish people would be kinder to all animals. I’ve noticed that people who judge are the ones who have never spent any time with these type of dogs. After such a terrible puppy-hood, I’m sure glad Somedog has a safe, happy life now! (and the name made me smile too 🙂 ) I think it’s great you have a website devoted to changing the negative reputation of Pit Bulls. I’ve always said it’s the owners, not the dogs themselves. They can be some of the sweetest dogs! I love your nickname “Some Dog.” He is a real cutie. I agree with you wholeheartedly that it’s not the dog that’s inherently mean it’s the owners who make them that way. I am so disgusted by people who consider dog fighting some kind of sport. I’m definitely going to watch “The Champions” when I get a chance. Hopefully, more and more people will see this documentary and see how wonderful these dogs are. Thanks for sharing the story of your dog. I too heard stories about the viciousness of such dogs. I do agree any dog can or cat or even a small one can be just as. I know this being a carrier for the US Postal Service a year back. The best on taking care of and managing your pet and I’m glad your are taking care of him and treating him kindly unlike his former owners. Hi, thank you for your comments. I can imagine as a postal carrier you encountered some not so nice animals of all sizes. 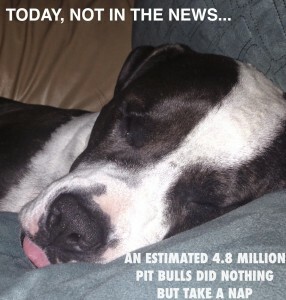 The smaller animals and other dog breeds are apparently not as news worthy as the “bully breed” dogs. It’s unfortunate and puts a negative stigma on animals who are otherwise very sweet and gentle creatures. Why should I care about Training?